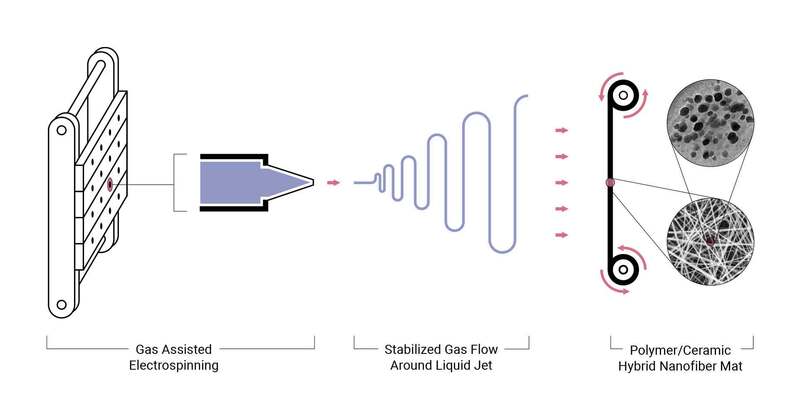 Bodi Energy is commercializing the first non-flammable electrolyte/separator system that has a high rate of charge and discharge, can be spray coated directly on either electrode and is cost competitive with conventional polyolefin separators. Bodi Energy has developed and piloted electrodeposition technologies that have proven capable of mass manufacturing highly tunable nanoscale materials. Bodi’s R&D team has engineered a nanoscale ceramic component into a polymer nanofiber matrix that establishes a unique ion transport mechanism for lithium ions to go through the surface of the separator material and not rely on the pores for conductivity. Consequently, thinner separator materials would increase rate capability and volumetric energy density of the battery cell. Manufacturing ceramic material components for lithium ion batteries has proven challenging. Bodi’s capabilities to process ceramics and polymers into co-continuous materials is game changing. We have built pilot plant manufacturing that has demonstrated our ability to mass produce our materials without defects and at costs competitive with polyolefin separators. Bodi Energy is initially launching a 12 micron ceramic/polymeric nanostructured composite separator that delivers far better thermal stability and anti-flammability than polyolefins and coated polyolefins. This novel separator material is compatible with various cathode chemistries and its rate capability or rate of charge and discharge is also superior to polyolefins, especially at higher rates like 2C and 4C. 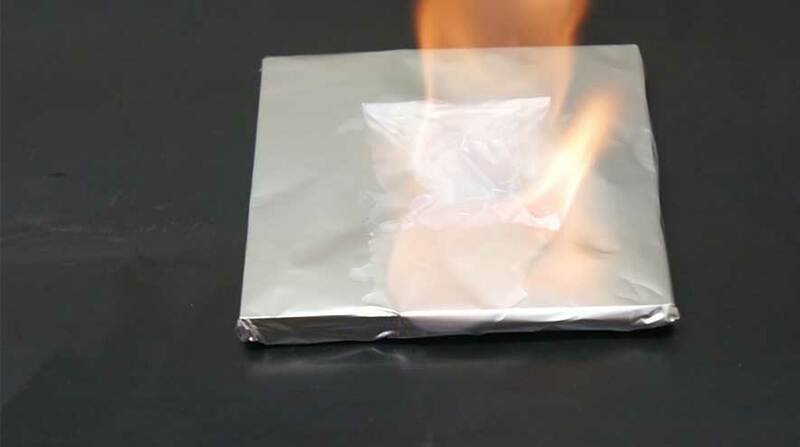 Bodi Energy’s separator also functions as a scaffold for the integration of its novel gel ceramic electrolyte (GCE) to form a non-flammable solid that is 12 microns thick and batteries built with this material charge and discharge energy 2-3x faster than batteries with commercial polyolefin separators and flammable electrolyte. Bodi’s GCE is impregnated into the pores of its ceramic/polymeric separator and its capabilities to control pore size and pore size distribution enables reproducibility and tight quality control. This integrated material component can be utilized as a free-standing material for automated cell assembly or directly deposited as an 8 micron coating on either electrode using Bodi’s proprietary electrospraying technology. Bodi Energy’s non-flammable electrolyte delivers on the promise of a safe electric vehicle (EV) that can be recharged at a significantly faster rate. Two critical factors constraining the mass adoption of the EV are driving range and sticker price. Commercial battery electrodes, such as graphite anodes and metal oxide cathodes have limited energy storage capacities and most cathode chemistries contain very expensive metals, such as cobalt. 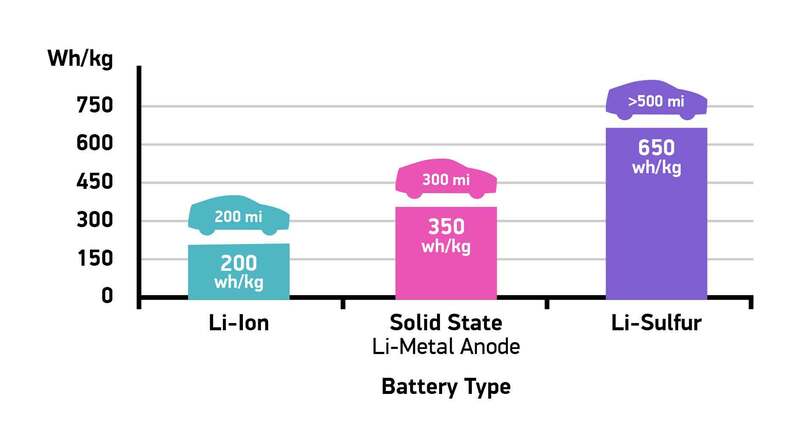 Automotive companies and lithium ion battery manufacturers continue to develop cathodes with less cobalt to lower cost and anodes that utilize silicon and lithium metal to significantly increase the battery’s energy storage capacity and the range of an EV. 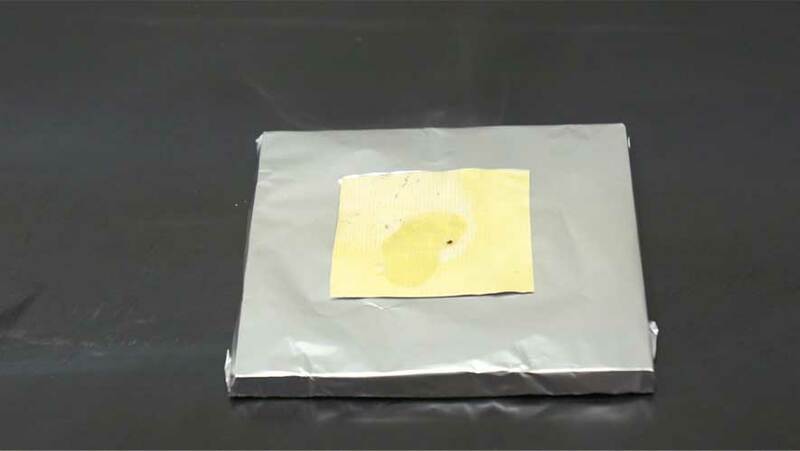 However, these alternative materials are known to cause safety issues during battery cycling. Lithium metal stores 10 times more energy than conventional graphite anodes and its incorporation into a LiB could increase the driving range of an EV to 350 miles per charge. Pairing higher capacity cathodes, such as lithium sulfur, with lithium metal anodes can increase driving range beyond 500 miles per charge. Bodi Energy’s solid electrolyte/separator system has been designed to address the many technical and safety challenges associated with the use lithium metal anodes so next generation batteries can be commercialized and EVs can be more attractive to the mass consumer.